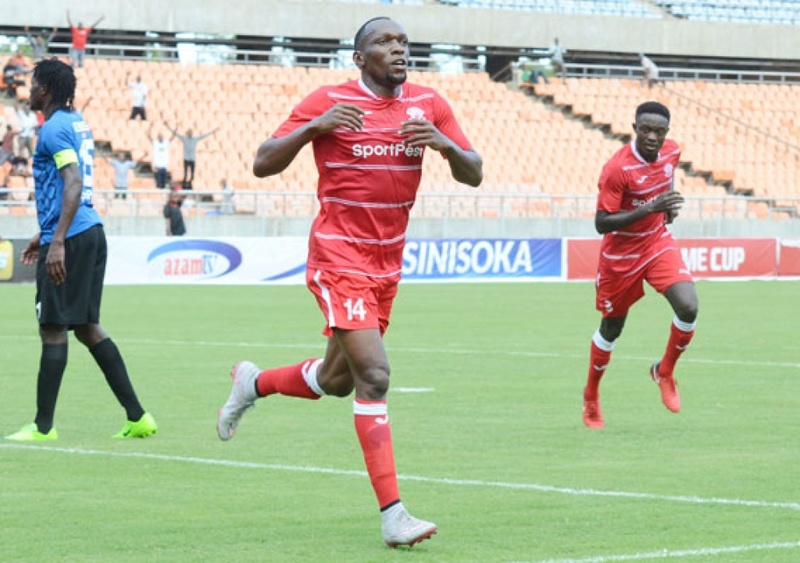 Rwanda’s Simba SC striker Meddie Kagere scored the lone goal of the game as Simba mauled Al Ahly of Egypt in a Group D game of CAF Champions League played on Tuesday in Tanzania. Tanzanian giants SC Simba edged Al Ahly of Egypt in the return leg of Group D match of CAF Champions League played on Tuesday at the National Stadium in Dar el Salaam. Rwanda’s international forward Kagere Meddie secured the win for the Tanzanian giants in the 65th minute. Nicknamed Wekundu wa Msimbazi, Simba searched for an early goal which would have unsettled the Red Devils’ defence. However, the Al Ahly backline, which was marshaled by Tunisia international Ali Maaloul, was able to contain Simba. The visitors grew in confidence as the match progressed and they nearly scored nine minutes before the half-hour mark. Al Ahly attacking midfielder Hussein El-Shahat hit the side-netting after the Wekundu wa Msimbazi defense was exposed. Both teams continued to launch attacks with the half-time break approaching, but they could not score. The two teams were locked at 0-0 at the interval. Simba took control of the match after the restart and they managed to seriously test Al Ahly goalkeeper Mohamed El Shenawy. The Egypt international produced a brilliant save to deny John Bocco from close range in the 50th minute.However, El Shenawy was beaten three minutes after the hour-mark by Meddie Kagare to make it 1-0 to Simba after the Al Ahly defence was exposed. Al Ahly coach Martin Lasarte reacted by introducing an attacker Nasser Maher with 20 minutes left on the clock. The visitors launched late attacks as they looked to grab an equalising goal, but Simba then stood firm at the back. Following the victory, Simba has moved to six points in Group D from from four games. Al Ahly still tops with seven points. Later on tonight AS Vita who have 4 points from three games will take on Algerian side JS Saoura in Algeria. Saoura have 2 points.